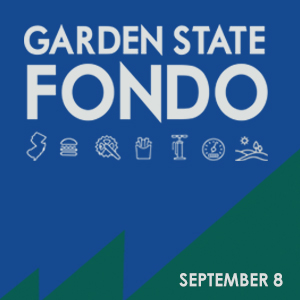 The Garrett County Gran Fondo has a ride for everyone from the recreational cyclist to seasoned professionals with five supported ride options. The 125 mile "Diabolical Double Metric", the 102 mile "Savage Century", the 62 mile "Masochistic Metric", and the 44 mile "Fabulous 44" all contain very steep and challenging hills. The "Garrett's Greatest 25" includes hills but is appropriate for the recreational cyclist not desiring to undertake the more extreme Gran Fondo ride offerings. 5 separate timed KOM climbs encompass a total of 11.8 miles and 4400' elevation gain. A true climbing test! New in 2017 is the Team Climbing Competition. Go find your climber extraordinaire teammates now; they will be in demand! 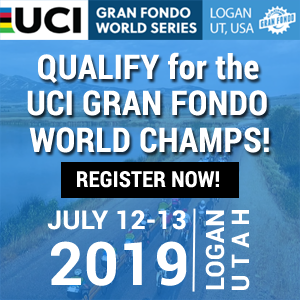 The Garrett County Gran Fondo "Diabolical Double" was selected in 2009 by Rapha Continental as one of the top 25 Epic Rides in North America and riders unanimously agreed the ride ranked was "one of the most stunning and demanding rides of the summer". 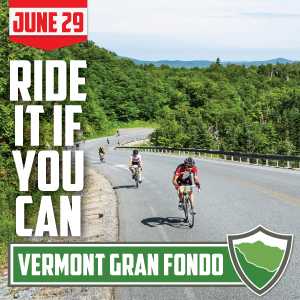 At 125 miles and 16,500 feet of climbing, this ride is an extreme challenge on par with any single day ride in the world, including the European climbing classics such as Etape du Tour, la Marmotte, and the classic Italian Gran Fondos. Compact cranks or triples are very strongly encouraged. The "Diabolical Double" - the feature event of the Garrett County Gran Fondo, the Diabolical Double is a true, extreme epic on par with European climbing classics such as Etape du Tour, la Marmotte, and the classic Italian Gran Fondos. At 125 miles and 16,500 feet of climbing, the Diabolical Double is an all-day affair that is an extreme challenge for even the most fit rider. Included in Rapha Continental's 2009 tour of the Top 25 Epic Rides in North America, and called by the Rapha riders "one of the most demanding and stunning rides of the summer", the Diabolical Double is destined to become a true North American cycling classic. The "Savage Century" - at 102 miles and 12,700 feet of climbing, the Savage Century is a very challenging century ride in its own right despite playing second fiddle to the Diabolical Double. The Savage Century shares the first 59 miles and final 15 miles of the Diabolical Double route. 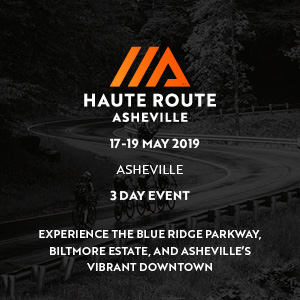 The "Fabulous 44" - at 44 miles and 4800 feet of climbing, the "Fabulous 44" is an excellent option for anyone looking for a longer, more challenging ride than the "Garrett's Greatest 25", but is not ready to undertake the extreme challenge of the Masochistic Metric Century. The "Garrett's Greatest 25" - A beautiful 25 mile ride through the rolling Garrett County farmland with a challenging 3 mile climb to the finish atop Wisp Mountain. espite the extreme nature of the some of the Garrett County Gran Fondo rides, there are no qualifying standard or time cutoff restrictions beyond event closure at dusk. 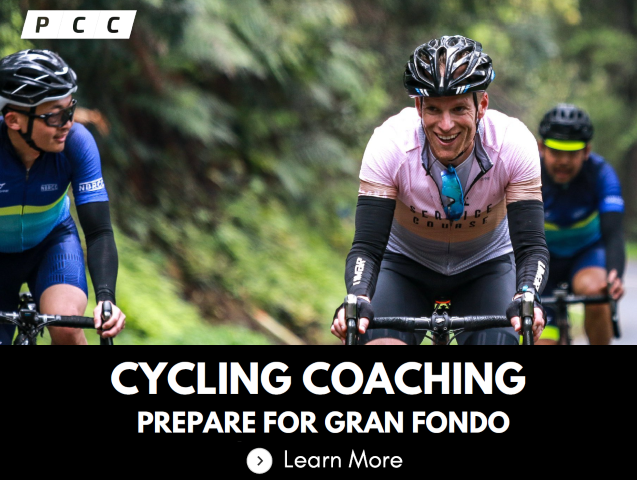 The Gran Fondo rides include supply stations, tech/sag support and riders will be provided detailed cue sheets and elevation profiles. Even so, participants should prepare to be self-sufficient for up to 25 slow, hilly miles between checkpoints and supply stations. All rides will start and finish at Adventure Sports Center International (ASCI), home of the world's only mountaintop whitewater rafting park, perched atop Wisp Mountain high above Deep Creek Lake. All rides are 100% on paved roads, with the exception of the "Diabolical Double" which includes a 1.5 mile stretch of gravel on Blue Lick Road. If desired, Blue Lick Road can be avoided via a 1.5 mile extension. Ride starts are staggered with the "Diabolical Double" departing at 7am, the "Savage Century" at 7:20am, the "Masochistic Metric" at 7:40am, the "Fabulous 44" at 8:00am, and the "Garrett's Greatest 25" immediately following at 8:05. A mandatory pre-ride briefing will commence at start line 15 minutes before each ride start. All Gran Fondo rides include some very steep, extended climbing. Some hills average 15% grade for over a mile, and many climbs peak out at over 20% pitch. All rides except the "Garrett's Greatest 25" summit finish atop Wisp Mountain with a 3/4 mile 13% grade climb. It is highly recommended that you gear your bike wisely in preparation for this. Even the strongest of cyclists appreciate compact cranks on this terrain. Checkpoints and food supply stations are available every 20-30 miles, and all riders are required to check in at these checkpoints. 5 timed KOM climbs with awards to top overall, masters, and grand masters climbers. Additional awards to any climb records set on any of the 5 timed climbs.